She was apparently her father's favorite and her was devastated by her death. She took after her mother Queen Olga in looks (round face, soft expression, large eyes, fair hair). 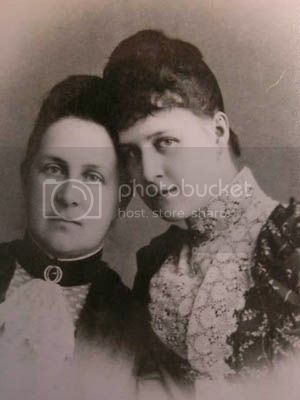 She fell in love with Paul (and vice versa) during his many visits to visit the "Greek cousins"
She became great friends with Grand Duchess Elizabeth (Ella) and the 2 couples often "hung out" together. It was at Ella's summer house Illinskoye (forgive bad spelling) that Alexandra fell ill. Rumors abounded in St Petersburg that due to Ella's supposedly unhappy marriage and Paul's early infatuation with her, that Alexandra & Ella's friendship was a sham and Alexandra was a 'beard' basically for Ella & Paul's affair. People referred to her as "that poor unhappy Greek princess" with people basically snickering behind her back. (Note: I personally think this is bull and just part of the nasty gossip surrounding Ella & Serge's relationship and the general nastiness in court in general). 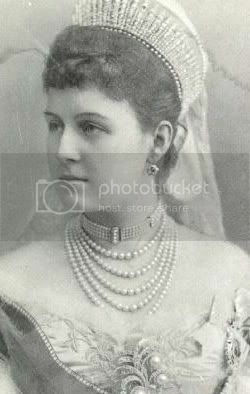 Upon her marriage, the Tsar gave her a pearl necklace set worth about $15 million in today's money. Wonder where that is now? That's all I can think of for now. I do have some photos but don't know how to upload. I read about Aline either in Inheritors of Alexander the Great by J. Nicholas Tantzos or Romanov Autumn--I can't remember right now but I think it was the former. I haven't yet gotten to her brief marriage and death but will try to post more later. Thank you for taking the time and effort to post some very interesting portions from the book! It is--well, oddly comforting-- to read about Paul and Alexandra and the beginnings of what seemed like a wonderful wedded life ahead of them. My sympathies have increased for Marie and Dmitri; it would appear they missed out on some wonderful parenting. Yes please post more. How sad they were struck by tragedy and not able to grow up as a family. I'm sure her siblings were heartbroken by her loss too. 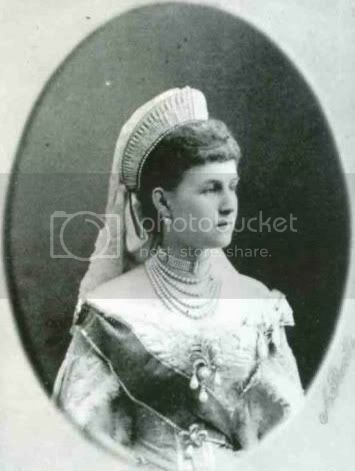 Does anyone know the date of teh funeral of Grand Duchess Alexandra Georgievna, wife of Paul Alexandrovitch, and daughter of King George I of the Hellenes. Thanks for this - I knew about tatoi but did not know any thing about the original funeral services. 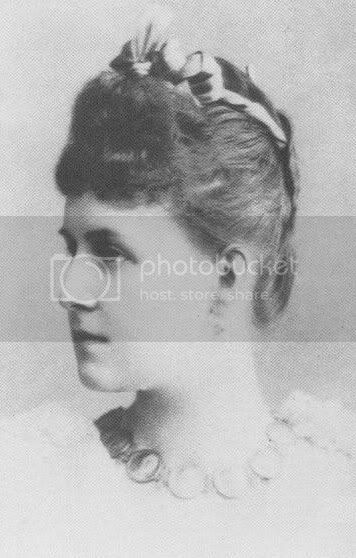 A photograph of the unfortunate grand duchess. The first generation or the Greek Royal Family was very attached at the Russia´s Imperial Family. 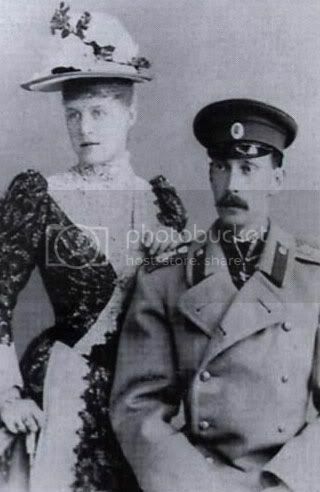 Queen Olga was a Romanof and King George of Grece was the brother of the Tzarina Maria Feodorvna, so their children where first cousins of the Imperial children. In that times, the Greeks were not very richs, but they married some of their children with members of the I.F. 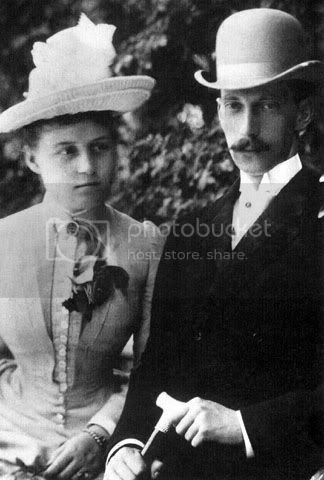 Their son Nicholas married with Elena Vladimirovna, who aported a superb marriage portion. Their two daugthers married Romanov cousins and lived in the magnificent Romanov Court. 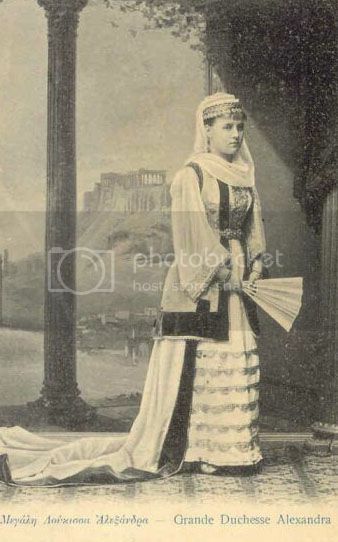 Alexandra was the first Princess of the Dinasty who was born in Grece, also she was the most beautiful of the two daughters. She was born in the property of Corfú, the 18/08/1870. During her childwood, Alexandra and her sister Maria were cared by their nurse, the Comtess Groben. Princess Maria said " My father take a big care in our education. He insisted in a strict discipline and in a hard work. We had to study Languages and Literature in greek, english, french and german, and also music, arithmetic, drawing and of course religion. He learned gymnastics and horse equine too...". With eighteen Alexandra was engaged with the Grand Duke Paul, ten years older than her and served in the Imperial Guard. The marriage was fixed for june 1889 and took place in St. Petersburg. To King George the departure of a so loved daughter suposed a big sorrow. To assist to the marriage all the family went to Russia, in St. Petersburg they stayed in the Marble Palace, property of Queen´s Olga Brother. 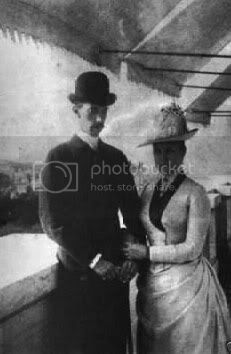 After the marriage, Paul and Alexandra lived in a Palace near the Neva, where their first daughter the Grand Duchess Maria Paulovna was born the 18-04-1890. Several months later Alexandra was pregnant again. During a stay with Grand Duke Sergei and Ella in Ilinskoie, and because a sad litle accident, she had a premature childbirth. In Ilinskoie they only could find the inexpert midwife of the village. The childbirth was complicated. Dimitri was born with seven months pregnancy the 18/09/1891, his mother Alexandra was so ill that she stayed in coma six days. 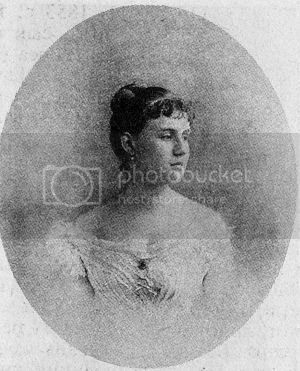 Her parents recived a telegram from Grand Duchess Ella informing them that Alexandra had given birth of a premature son, Dimitri, and that she was so ill thay they would come along as soon as posible. This was a terrible shock, she was only 21. Her parents arrived to Ilinskoe, Alexandra in coma, never recognized them. After her death they were devasted. Alexandra was buried in the Fortress of S.Peter and S. Paul in St. Petersbug. In 1940, King George of Grece contracted the promess he had done to his grand mother Queen Olga, and Alexandra was reburied in Greece, in Tatoi, as her mother wanted. 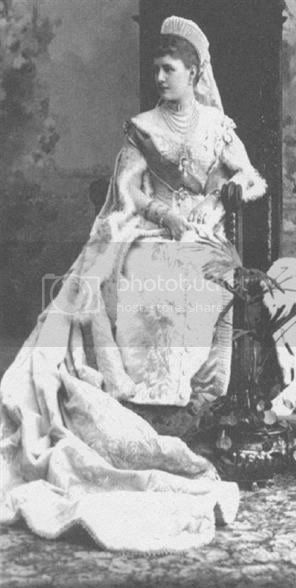 Queen Olga didn´t want that her loved daughter stayed in Russia, the country where so many members of her family were assesinated. I have find all this information in the book "The Queen´s Sofía family" by Ricardo Mateos Sáinz de Medrano.